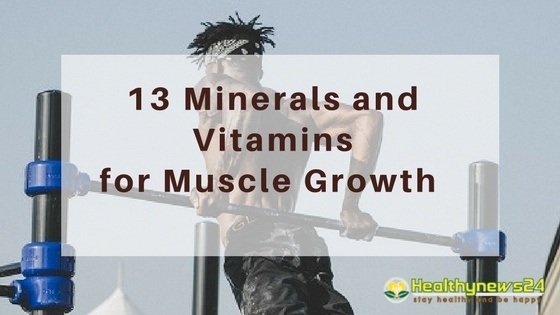 Minerals and vitamins for muscle growth are essential. They can add or break your gym workout efforts. But, if you clearly watch what do you eat after your gym workout then that can add a real value to all your efforts. There are a couple of things you should know when trying to encourage muscle growth. If it doesn't have the correct amount of the right proteins to fix the muscle tears it won't be able to build or retain the muscle you earned at the gym. Protein is essential for muscle growth because of its ability to help encourage your physical performance. It also helps with muscle cell recovery after rigorous training sessions. In one study, scientists found that protein supplements did increase strength and improved the performance of their test subjects. Riboflavin is a B vitamin that is necessary for cell growth due to its ability to boost energy levels, athletic performance. It helps with the development of muscles and relieves soreness. Zinc is an essential mineral which is used to help encourage muscle growth and cell replication. It has been reported to have many benefits when trying to amplify the effects of resistance training. Studies have shown that it improves the regulation of the immune system and increases testosterone. Testosterone is a key component when trying to increase muscle mass. It is essential for growth and helps your body naturally produce testosterone which helps with muscle growth. The recommended daily intake is about 5 mg a day. You can find it in many vegetables, legumes, and milk. Vitamin D primarily encourages cell growth and reduces inflammation. It is produced by the sun and is absorbed by your skin. However, there are a few foods that naturally contain vitamin D.
Folate, also known as folic acid, is mostly used with a combination of other B vitamins. However, it has been reported to help with muscle pain. After you exercise, it is recommended that you take folate to help reduce soreness. It can help increase your exercise performance by decreasing the stress it has on your body because of muscle growth. Vitamin B12 is used to help regulate red cell formation, promote athletic performance, and boost endurance. Vitamin B6 is used to promote protein and amino acid metabolism. This means it helps cells with muscle development. 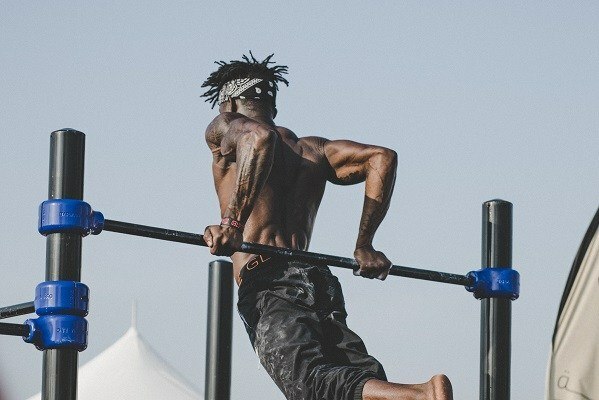 When exercising, B6 can help your body naturally repair itself by encouraging your cells to replicate more efficiently.This includes increasing the strength of your muscle cells. Omega 3 is used to help promote heart and blood vessel function. It helps reduce cholesterol by lowering the amount of triglycerides in your blood. This reduces your risk of a heart attack or other heart-related problems. Choline is used to retain the functionality of the cell membranes in muscle. Without it, the cells will not be able to maintain a strong structural integrity. This problem could inhibit muscle growth and cause you to lose already existing muscle. Calcium has always been the most important mineral for the body because it helps build ﻿﻿healthy bones. However, it also helps your skeletal muscles stretch and contract. This helps you when you are working out. 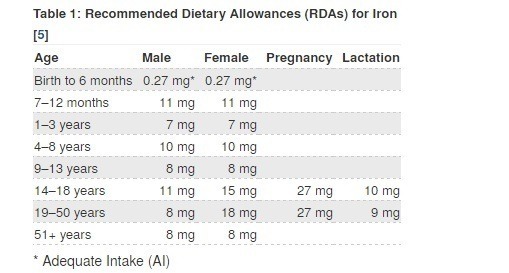 Iron is an essential mineral that participates in the transport of oxygen to muscle. Without iron, the muscle would have a hard time being able to move or operate. The recommendation of fiber intake for adults is about 21-38 grams per day. As you can probably deduce, if you can incorporate all of these vitamins and minerals into your diet it can create a large impact on your muscle growth. You will have more energy for your workout regimen and be able to push yourself even further. Not only will this aid you in creating strong muscles it will also allow you to retain it. If you are looking for gain muscle, then rest and proper diet is the main key. Without proper diet and nutrition intake, you cant achieve your fitness goal. With supplements and multivitamin, you can also add the peptides like the MK-677. MK-677 naturally secretes GH while increase IGF-1 (insulin-like growth factor).It increases GH levels by copying the mechanism s of hormone ghrelin. It attaches itself to one of the ghrelin receptors (GHSR) within the brain. The GSHR that’s been activated then stimulates the release of GH from the brain.